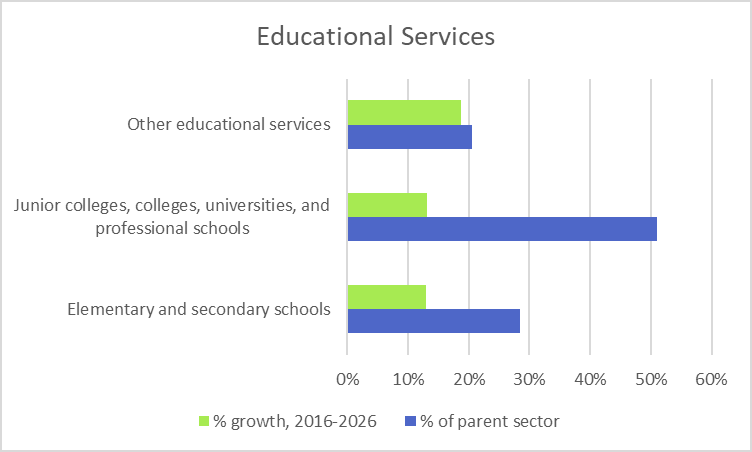 The Educational Services sector is part of the Education and Health Services supersector. 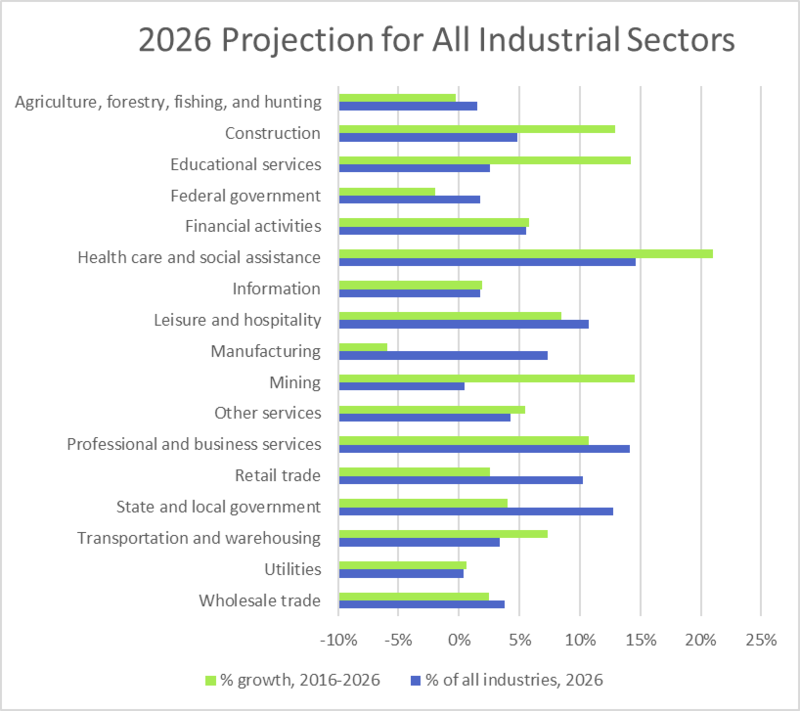 The following chart shows the percentage of people that this sector employs, relative to all the other industrial sectors, and the projected growth of this sector through 2026. The following table shows the top 10 projected occupations, in size, for this sector through 2026. It also shows the educational requirements and OJT requirements for these top-sized occupations. The OJT.com training directory provides a listing of the state-by-state training providers that can fulfill your on-the-job training requirements.